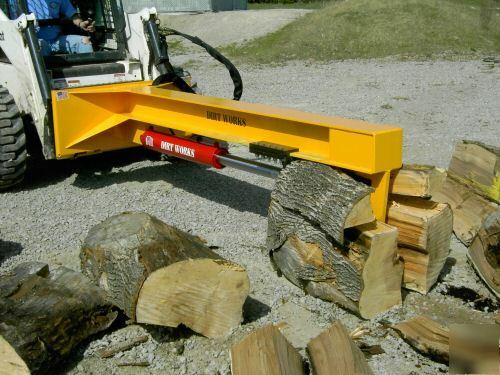 Introducing the new DIRT WORKS industrial / commercial 30 TON Log Splitter. 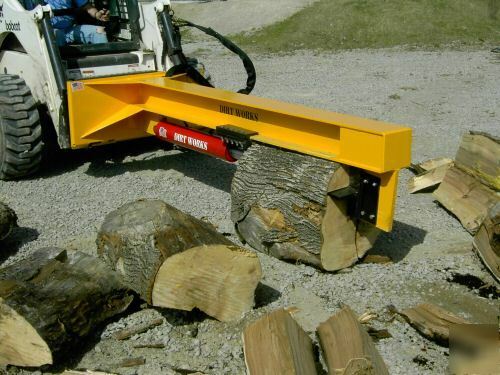 Designed for large bulky logs that are too heavy or odd shaped to split by manually lifting onto common upright log splitters. The splitting wedge is set at a 5 DEGREE ANGLE to minimize splitting resistance. Therefore less tonnage is required, reducing stress and wear on the machine and gaining more efficiency. This workhouse will split up to 32" LONG LOGS. Double your output with the four-way wedge assembly. Split through cords of wood in minutes instead of hours. 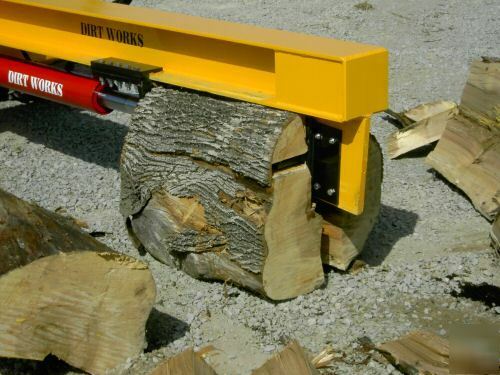 Dirt Works attachments offer quality and value at an affordable price with proven field tested designs. We are not a distributor, we are the OEM Manufacture, saving you money by purchasing FACTORY DIRECT. *It is unwise to pay too much, but it's worse to pay too little. *The common law of business balance prohibits paying a little and getting a lot, it can't be done. THERE ARE NO EXCEPTIONS. *There is hardly anything in the world that someone can't make a little worse and sell a little cheaper. *And people who consider price alone are this mans lawful prey. 12LA, TC23DA, TC26DA, 14LA, TC29DA, TC33DA, 15LA, 16LA, TC35A, TC35DA, TC40A, TC40DA, TC45A, TC45DA, 17LA. All our products are described and pictured as accurately as possible, and to the best of our ability. All items are sold with a one year manufactures warranty (see warranty form for details). 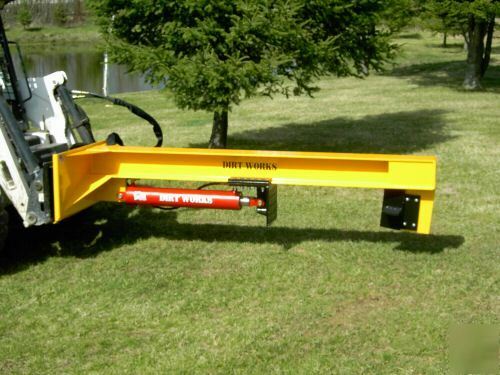 Please visit www.qualityweldingservice.com for more information on the DIRT WORKS attachment line.